The vision of Today.Church begins with prayer and fasting. We don’t do anything without the foundation of Fasting and Prayer. Our priority will always be to fast and pray first. January and August are the two startup seasons of our year. Today.Church intentionally schedules extended times of fasting and prayer for these months. Together, we passionately seek God first because nothing we do will succeed without the direction and power of the Holy Spirit. 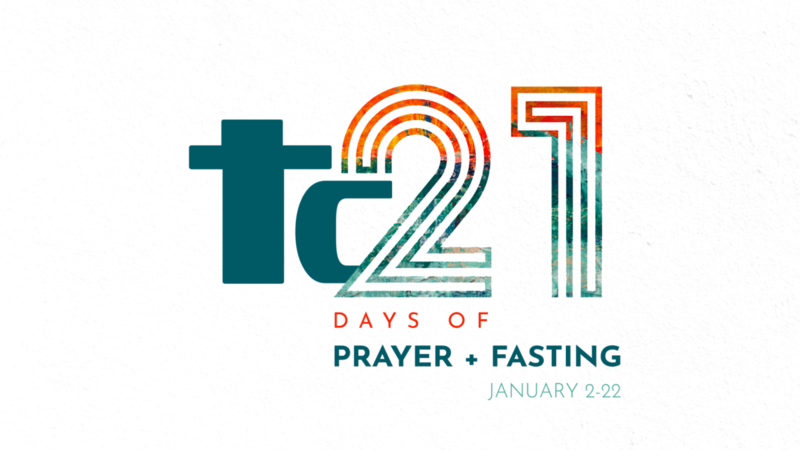 We are setting aside 21 days of prayer and fasting to begin 2019, January 2 – 22. We are focusing specific days of prayer specifically for each vision item above. There are several ways you can participate. First, join the prayerTEAM. During t.c21 we will send out brief updates with scripture and specific requests for you to pray about for each prayer emphasis. We are asking everyone who will to set aside an amount of time each day to pray for these areas. There are many ways to fast. For those who would also like to fast click for more information about fasting.